220 pages | 9 B/W Illus. 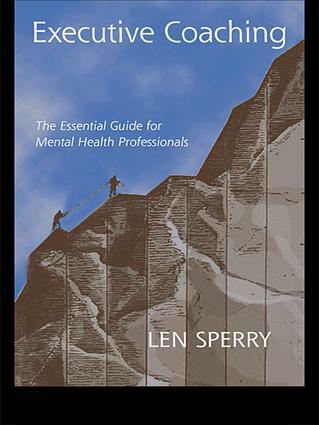 Len Sperry, M.D., Ph.D. is professor of Health Services Administration and Psychology, and director of the Masters in Health Services Administration program at Barry University in Florida. He has consulted with executives throughout the U.S. and abroad for over thirty years, and has designed and implemented leadership development programs for several corporations. Sperry is board certified in psychiatry, preventative medicine, and clinical psychology and a fellow of the Division of Family Psychology of the American Psychological Association. He has published over 200 articles and 30 books, many with Taylor and Francis.